Its been a while since I had been to Cole Mountain. So we paid a lunch time visit. 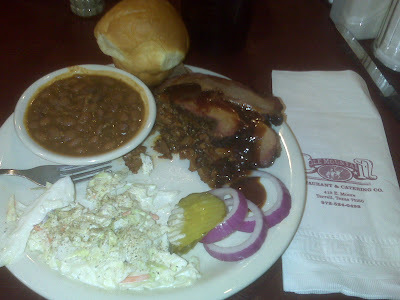 Barbeque plate, sliced and chopped beef, cole slaw, cowboy beans and a roll, $4.95 lunch special.